The BMW nineT is a motorcycle that the design team at BMW Motorrad have been wanting to build for a long time, some of you might remember the BMW Lo-Rider Concept that we featured here on Silodrome in May 2011 – a quick look at that concept bike is all the confirmation you’ll need to confirm that the new nineT is its direct descendant. 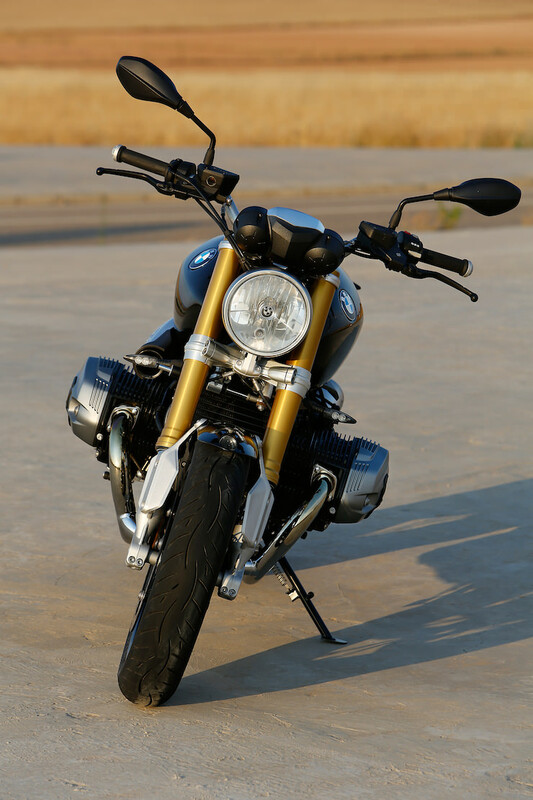 The nineT was developed as a 90th anniversary model, the brand’s first bike was the 1923 R 32 – a technologically advanced bike for the day that also featured an air-cooled boxer twin and shaft-drive. 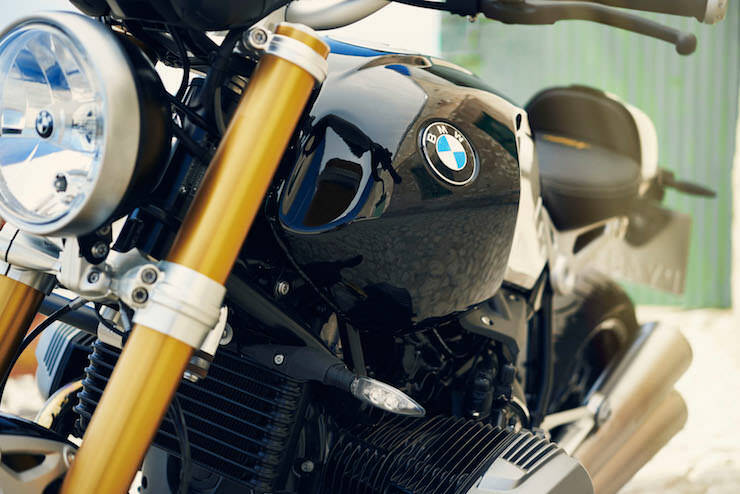 Although primitive by today’s standards, the R 32 set BMW on course to be one of the world’s leading motorcycle manufacturers throughout the 20th century and well into the 21st. 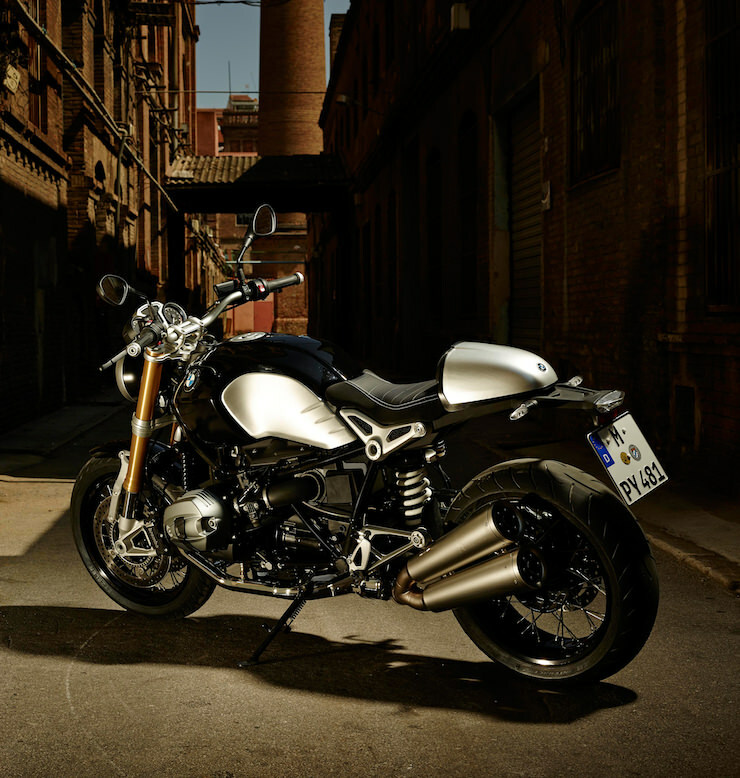 BMW are positioning the new nineT as a competitor to both the Ducati Monster and the more retro offerings from Triumph, Harley-Davidson and Moto Guzzi. 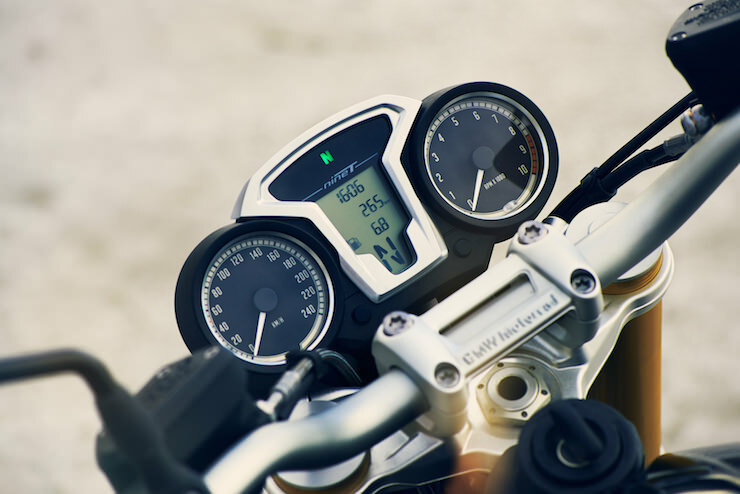 The official MSRP hasn’t been released yet but people who know more about this sort of thing than I do are predicting a price somewhere in the $15,000 USD range, this would put it very much at the high-end of the market and competing with bikes like the Ducati Diavel and the new Norton Commando. 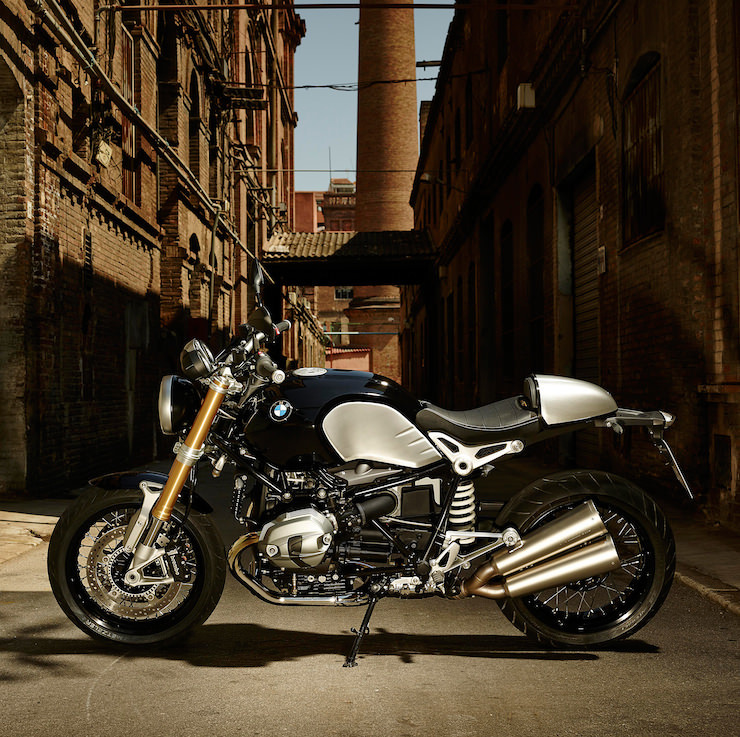 The PR materials offered by BMW to accompany the release of the nineT are extensive, but boiled down and condensed they want you to know that the nineT is highly suited to customisation and offers a balance between old-school BMW engineering and new-school technologies. If I’d studied media and public relations at university I’d probably have been able to stretch the latter half of that previous sentence into a 3,000 word wall of text like the PR chaps at BMW did, but I didn’t so I can’t. Thank God. 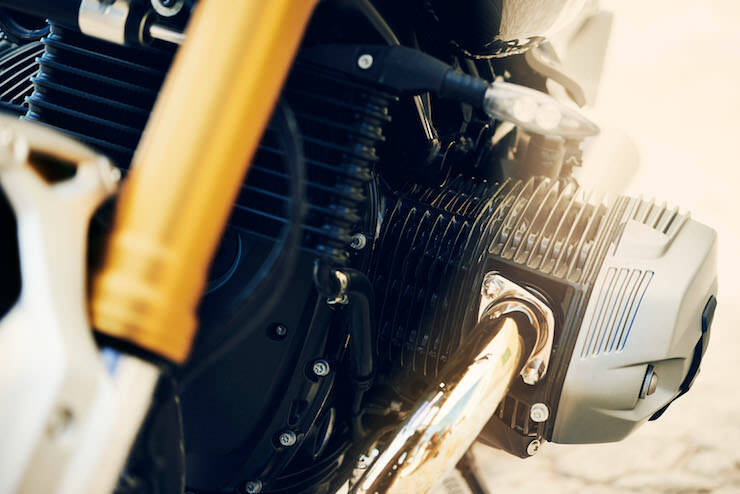 The 1,170cc air and oil-cooled boxer-twin fitted to the nineT is a stressed chassis member, greatly helping to reduce weight and improve rigidity – It produces 110hp at 7550RPM and generates a non-slouchy 119Nm of torque using a shaft-drive system to get that power down to the rear wheel. 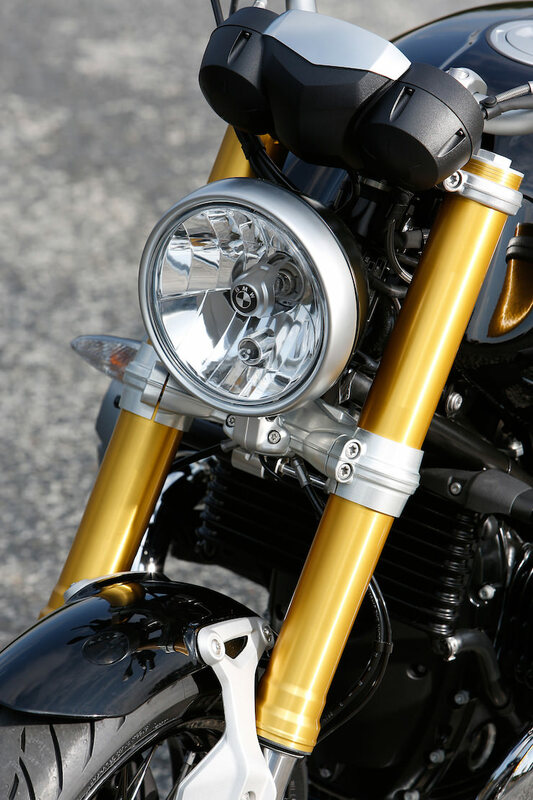 Interestingly, the rear sub-frame is removable with hand tools meaning you can convert the nineT into a single seater for track days, or regular days if you no longer need women in your life after taking delivery of your motorcycle. 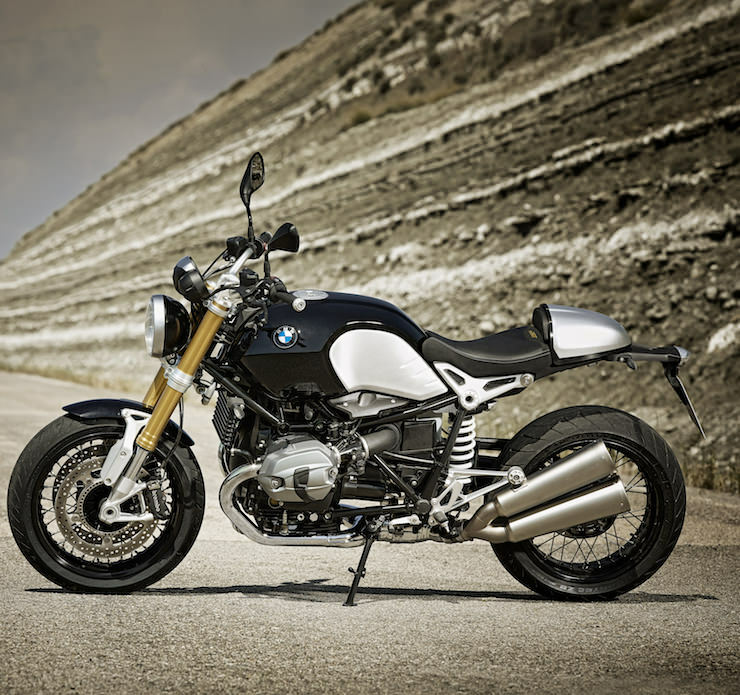 The front forks have been raided from the S 1000 RR superbike parts bin and at the rear, a single-sided swingarm in conjunction with a central spring strut provides the bounce. 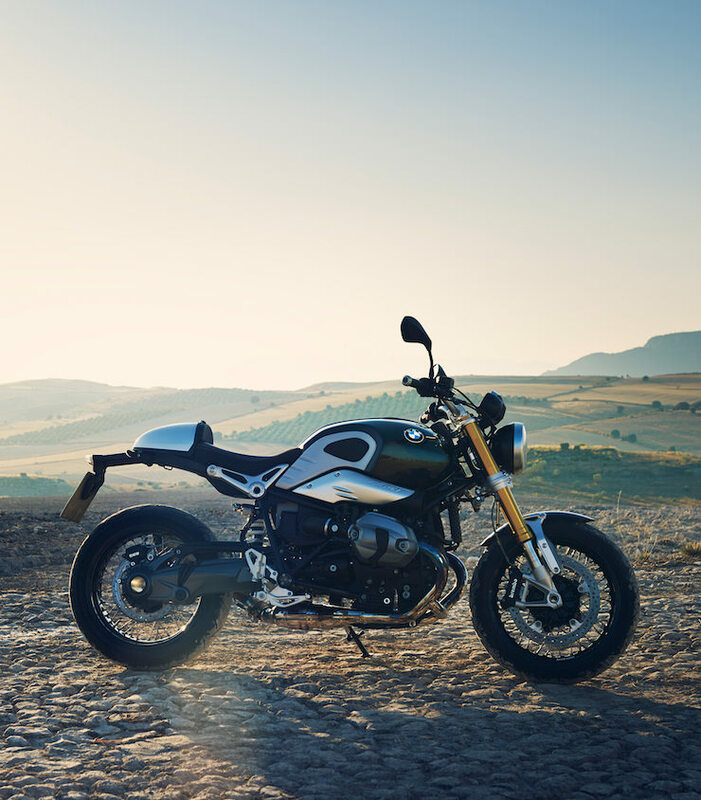 We won’t be able to tell you much more about the BMW nineT until we ride one, and there’s no set-in-stone release date yet so it’s hard to say when that’ll be. It’s probably safe to assume that this bike is going to handle like a TRON lightcycle and look great doing it, the biggest question will be how it sells and where BMW place it with regards to pricing – if they price it to compete with the high-end Ducati Monster they’ll have a winner on their hands, but if they go too high they’ll price themselves out of the game entirely. 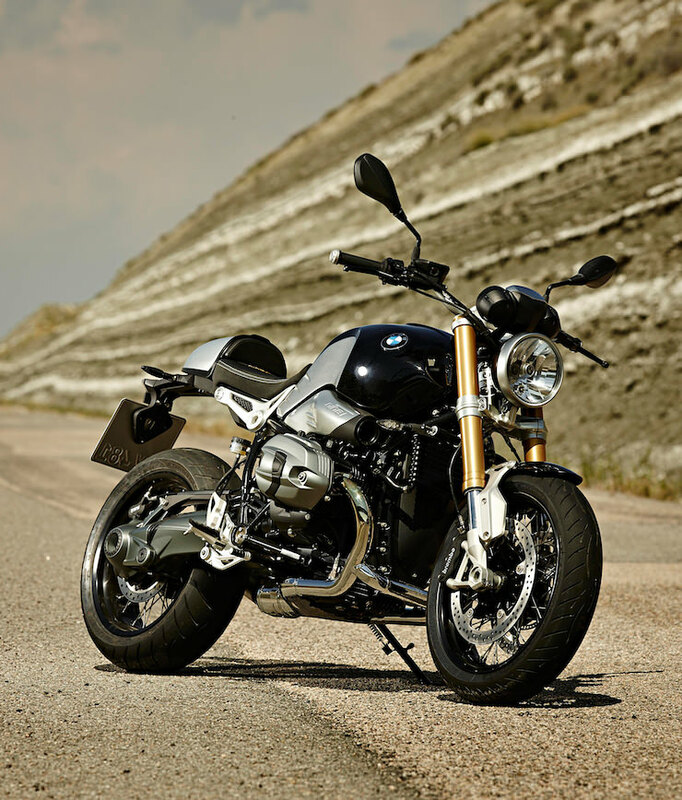 The only question left to ask is, would you prefer the nineT or the Roland Sands Designed BMW Concept Ninety?